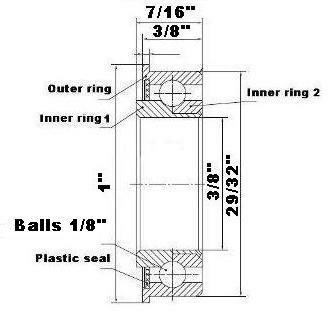 Horton Bearing Services mission is to make buying and selling of F1229 Unground Flanged Full Complement 3/8" Bore Ball Radial Ball Bearings as easy, stress free and friendly as possible for everyone. let it be known - our bearing Service Department offers some of the most trusted F1229 Unground Flanged Full Complement 3/8" Bore Ball Radial Ball Bearings repair in Singapore,As such, we're capable of competently repairing any brand of Bearings. our highly-trained certified technicians (on duty during all business hours) will not only get the job done, but do so in a timely manner, as well. To learn about each service we offer, please continue reading. If you have any questions regarding these services Horton Bearing Services Serve Customers from 25 branches spread across Southeast Asia, Asia Pacific, East Malaysia, West Malaysia, Indonesia, Thailand, Vietnam Singapore and China. 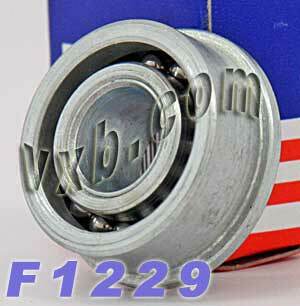 F1229 Unground Flanged Ball Bearing, F1229 is Full Complement (No Cage), the dimensions are 3/8" x 29/32" x 7/16" Inch. 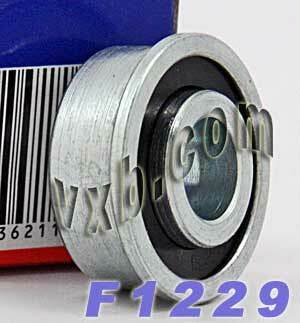 Bore Diameter outer diameter Width Outer Ring Width G 3/8" 29/32" 7/16" 3/8" 1"